It’s true that stretch marks are never going to erase out completely. Well, it will definitely fade with the passage of time or with regular use of specific products or treatment procedures. There are specific reasons which are responsible for the development of stretch marks on the body. Stretch marks start developing when some body parts start growing very quickly for some specific reason. The skin faces difficulty is accepting that extra stretch to keep up and the stretch develops. Such long, rippled and thin, marks on the skin are called stria. Out of the above reasons, pregnancy is one which is responsible for the maximum cases of stretch marks in women. The body needs to adjust a lot to create space for the development of the baby. Such adjustment pushes the skin massively and some hormones weaken the elasticity of skin and stretch mark develops. If you are looking for ways to get rid of these marks then meet specialists of skin care clinic in Delhi. Stretch marks cannot be removed permanently, only its visibility can be reduced to a great extent with laser treatment. The non Ablative fractional laser technologies like, Alma clearskin or Lumenis M22 resurfx laser are good options also carbon dioxide (co2) lasers are good , but may have a long recovery time in some cases. 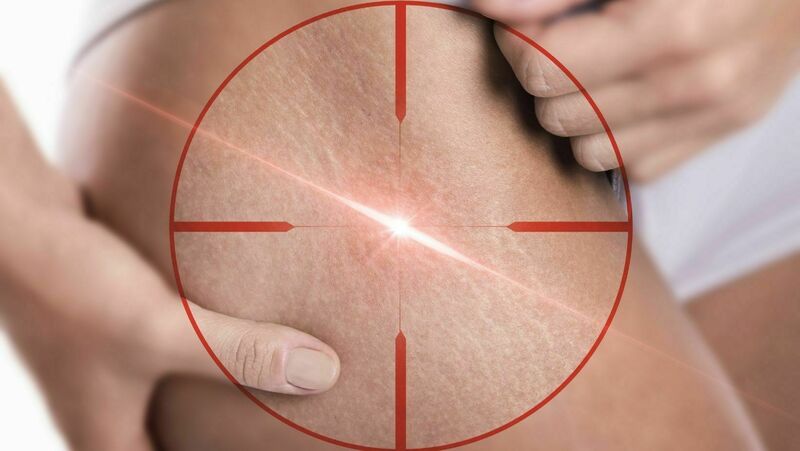 According to Alternative medicine the reasons for stretch marks are related to Kapha imbalance, And managing it holistically is good not just for outcomes on the skin but also for the health inside out.